Do you like free stuff? Sure you do! Who the heck doesn't? PPA's mission is to create a vibrant community of successful professional photographers. Of course, we provide education, resources and industry standards of excellence for PPA members; however, we believe that business knowledge is key to the industry's success overall, so you'll find lots of freebies for all photographers here too! Want Even More? Join PPA Today! Sign up for PPA's FREE ACCOUNT and you'll get notifications every time more freebies are added! PPA Webinars are scheduled, short format, live events. They are led by some of the best professional photographers in the business and are designed to keep your skills sharpened. 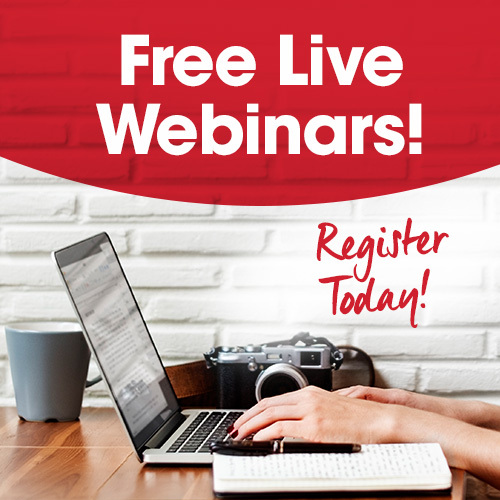 Check out the upcoming webinars and bookmark the page to find them easily! New Video Tutorials, Each Month - FREE! It's no secret that PPA has a massive library of educational and training videos for members and non-members alike. But you can watch for FREE or share one of them every single month! Check out this month's Free Video of the Month! The Copyright Starter Kit - FREE! As a photographer, your images are everything. 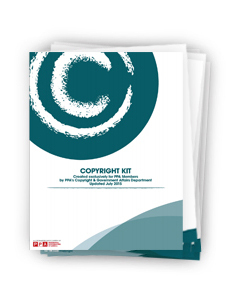 Learn how to protect them with this free copyright kit. This FREE copyright kit shows you ways to protect and guard your images. It will also show you the steps you need to take if an image of yours is stolen. Just provide us with some basic information and it's all yours! Useful Model-Release White Paper - FREE! Have questions about when to use a model release? The best answer is: always! But, sometimes it's more complicated than that. This white paper can help you learn more about laws in your state. Weekly Newsletter for Professional Photographers - FREE! Change happens all the time in our industry and it happens fast. 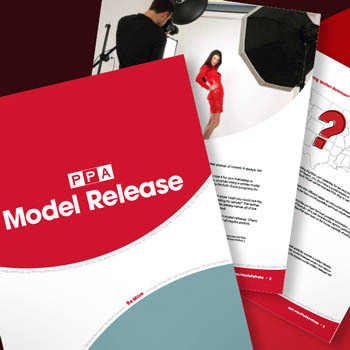 To help you keep up with what's coming and going in the world of professional photography, PPA has a FREE newsletter called PPA Today with all- industry updates, tricks of the trade, tips and more. There's no reason not to take advantage of this free resource! Sign up for PPA Today! Drone Knowledge Center - FREE! Drones are becoming more and more an integral part of the businesses of many professional photographers. However, there are a good many rules and regulations governing the commercial use of drones. PPA gives photographers like you (and for FREE!) lots of updates, tips, and resources to get you ready before you take to the skies. Visit the Drone Knowledge Center now. You can only defend YOUR copyright if you know the rules. PPA has a fun quiz you can take to see how much you really know about copyright rules! Test your knowledge here to see how much you know about the copyright laws that affect you every day! Join the Fight for Artists' Rights! Understand the importance of adding small-claims enforcement to copyright law and sign up to help now. PPA has been advocating for this for the past ten years because it will solve a huge injustice and inequity in the U.S. copyright law system! Get updates as more members of Congress sign on and make this a reality. Add your name and show your support here! Bookmark this page and be sure to follow PPA on social media.That way, you'll know every time there's a new freebie available. Sign up for PPA's FREE ACCOUNT! Not only will you receive notifications each time a new freebie arrives, but you'll also have access to thousands of articles that can help you grow your business, FOR FREE!